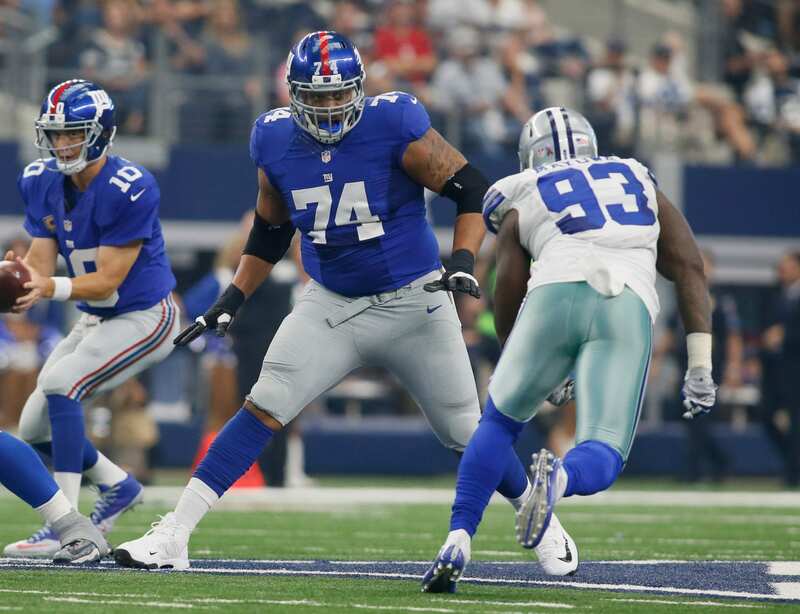 If you’ve seen the New York Giants play a game in the past three years, you’ve also likely witnessed the extreme talents of tackle Ereck Flowers. The Giants’ first-round draft pick back in 2015 has managed to stick with the team despite being a human turnstile on Eli Manning’s blind side, and now, he’s on the right side of the line. In week 1 of the regular season, Flowers reverted back to his normal self – the epitome of a bust. If you aren’t sold on his inadequacies yet, just wait for this. On the very first play of the game against the Jaguars, Flowers was beat so bad that he attempted to trip his assignment. Tack on a 15 yard penalty for tripping and the Giants are once again in a hole. What came after the New York Giants’ loss to the Jacksonville Jaguars? Great, Flowers is capable of agreeing with his coach, now why is it that he can’t learn from him? Why’s it that Flowers has managed zero developmental success after “years” of bad play? It makes no logical sense. “He’s like every player. I think I know where you’re going with this, he’s like every player,” Shurmur said. “He had a lot of really good plays and he had a couple that he’d like to have back. A couple of snaps that he’d like to have back? He committed two penalties within the first three plays of the game! There’s no having plays back in the NFL…you have a job to do, so do it! Kudos to Shurmur for having Flowers’ back after Sunday. Any professional will tell you that the four-year veteran has fundamental issues beyond belief, and shifting to right tackle isn’t going to magically fix them. The only benefit will be that Eli can see the 270 pound monster defensive end running straight for him. Flowers finished the loss with 7 total pressures allowed (5 hurries, 1 QB hit, and 1 sack). This was the third-most pressures out of any starting tackle in week 1, according to PFF. The worst part is, Flowers has no competition behind him. The only alternative option is Chad Wheeler, and Shurmur seems very reluctant to hand him a starting gig. How terrifying is that?